MANILA – Kapamilya actress Jodi Sta. 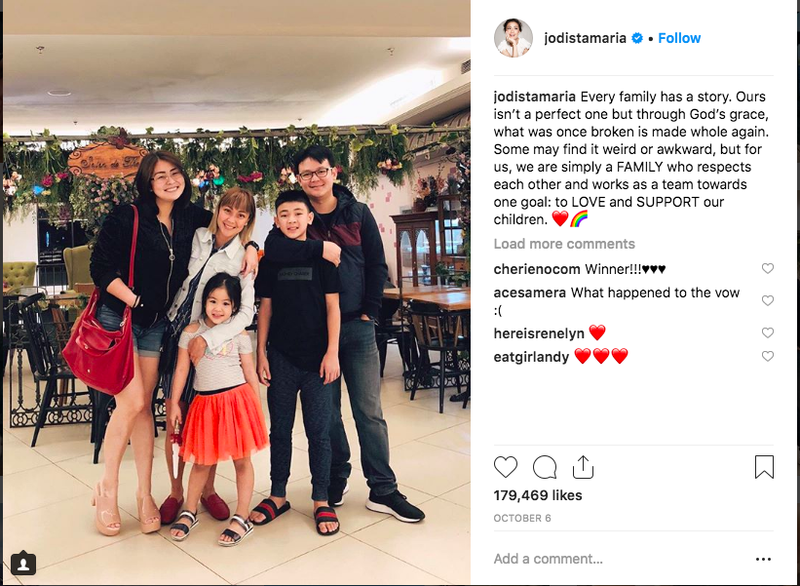 Maria posted on her Instagram account a photo of her “modern family.” Seen in the photo with her is her ex-husband Pampi Lacson with his current partner Iwa Moto, Jodi and Pampi’s son Thirdy and Iwa and Pampi’s daughter, Mimi. “Some may find it weird or awkward, but for us, we are simply a FAMILY who respects each other and works as a team towards one goal: to LOVE and SUPPORT our children,” she said.